It’s a beautiful rainy day in jersey! This is a month of transition from warm to cold weather. As we are eagerly waiting for fall, we should also start adding the right beauty products in our makeup box. 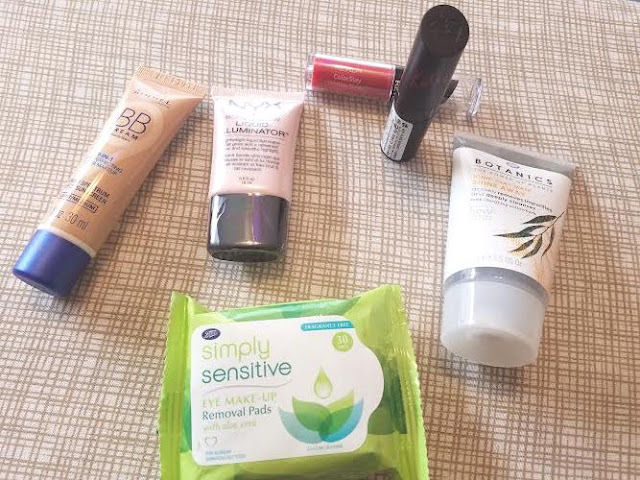 I am listing down the top five beauty products for the month to keep your skin satiated and glowing while you enjoy the weather in the best of your comfort. These are the beauty goodies I will be enjoying for this season. Here is a peek –a- boo for you! Rimmel London BB cream 9-In 1 Skin perfecting: A good BB cream with built in sunscreen is an absolute essential in all weathers.With SPF 25 this BB cream has a matte finish that eliminates the need for foundation also saves you from the 9-part regimen including primer, moisture, pore minimizer etc. Botanics Ionic Clay Mask: We often complain about the drying skin after using face masks. Around this time of the year we have to be more careful and pick uo a mask that will not only wash away the impurities but will leave our skin hydrated. That’s exactly what this clay mask do for us. This mineral rich oceanic clay mask contains a negative electrical charge which acts like a magnet helping to draw deep rooted impurities out of the skin without drying. Botanic's Shine Away Ionic Clay Mask leaves skin soft, smooth and wonderfully cleansed. So this fall let your skin glow away! Revlon ColorStay Ultimate Suede: With Convenient and attractive container and even application It has super lasting power. Girls, this the perfect one for you for the fall if you want to get away from dry lips. You can also top it off with a gloss for added shine. NYX Liquid Illuminator: Enhance your look with a light application of NYX Illuminator! It instantly gives that luminous heavenly glow on face! This will be a perfect beauty product to enrich your spring look! Boots Simply Sensitive Eye makeup removal pads: A good eye makeup remover is very important to keep your eyes guarded from dark patches and puffiness. So get ready to invest on this one! So ladies I am all set to welcome and enjoy this fall. Let me know what other stuff can we add to our fall list!